Before my husband and I were married, one of our first dates was a canoe trip. 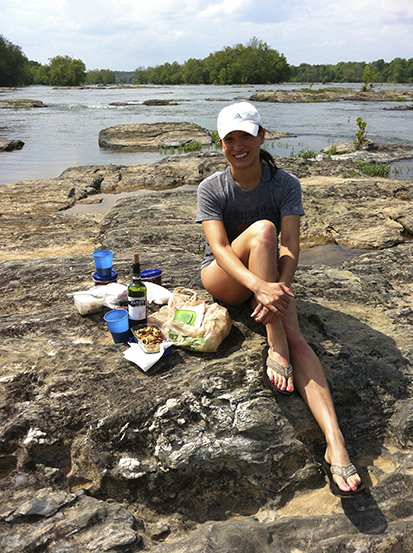 We planned to have a picnic on one of the giant-flat rocks that sat in the middle of the river – it would be the first time I would prepare food for my then boyfriend…so I wanted to impress. I packed a bottle of wine, made a pesto and caprese panini, spiced-nuts trail mix, and for dessert I made Summer Berry Pudding. 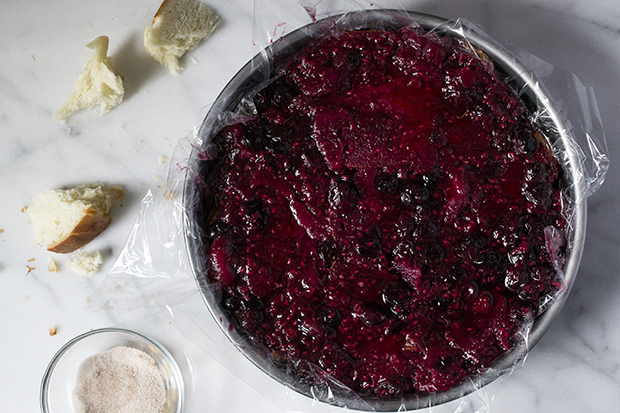 The dessert was super simple to make, packed up easily into the dry-bag of the canoe, and it definitely impressed. He asked me out on another date and a year later we were married – I’d like to think the picnic had something to do it. Tip: For our canoe trip, I made this dessert in individual plasticware. It made for a nice presentation and personal dessert. 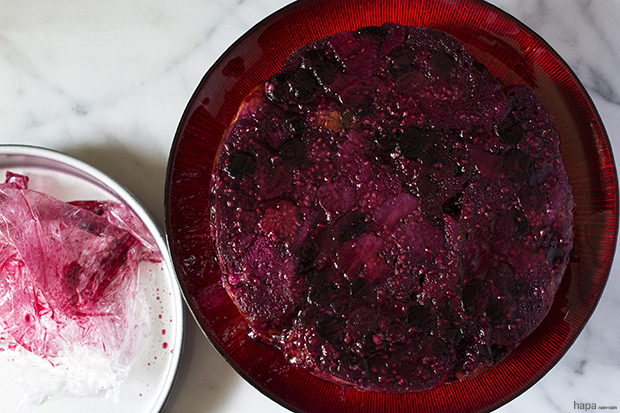 Keep your kitchen cool with this no-bake dessert! It's super easy, incredibly quick, and absolutely delicious! Hull and slice the strawberries. 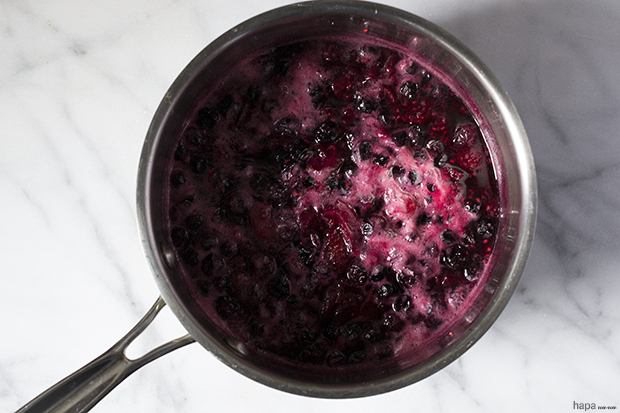 Add all mixed berries to a large saucepan, reserving a few of the berries for garnish. Add the sugar, ground cardamon, and water. Simmer over medium-high heat for 10 minutes, stirring occasionally. 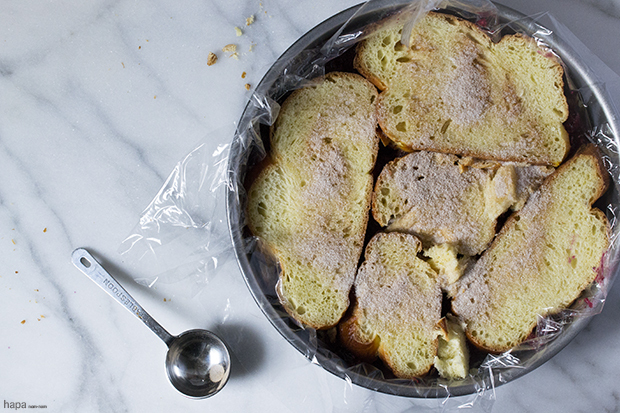 Slice the bread into ½ inch slices and spread butter over the tops. Line a 9.5 inch circular pan with plastic wrap. 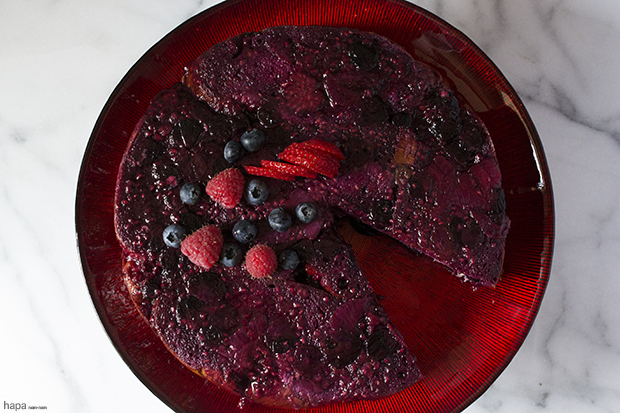 Ladle some of the berry mixture to cover the bottom of the pan, about ½ cup. Add a layer of sliced bread, tearing to fit as needed. Sprinkle the top with 1 tablespoon of cinnamon sugar. Ladle approximately half of the berry mixture overtop and then repeat the layering process one more time: sliced bread, cinnamon sugar, and the remainder of berry sauce. 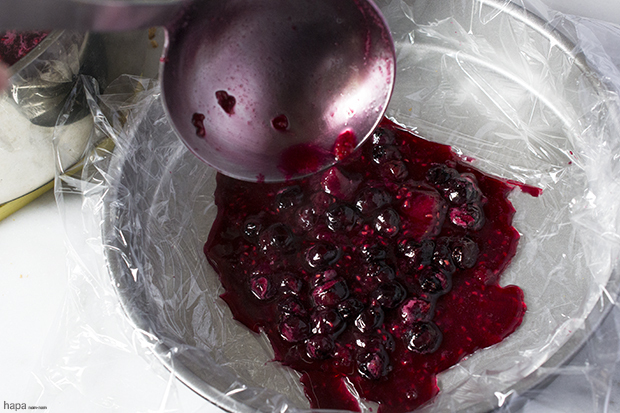 Cover with plastic wrap and refrigerate for at least one hour. When ready to serve, remove the plastic from the top and invert the pan onto a plate. Gently lift the pan and remove the plastic. 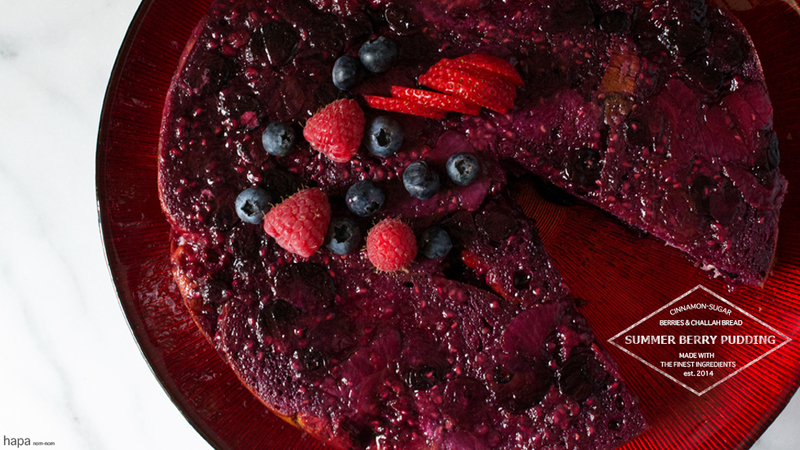 Serve with extra berries. Made this instead of a birthday cake, and brought it to work. Everyone loved it, and SO EASY, too! Thanks Kathleen!